I don't have an on-line checkout, but ordering is very simple. 3. Arrange payment AFTER you have received a bill. Please don't guess at the total. Let me know when you order how you would like to pay and I will take it from there. AFTER you have received a bill. Either click the payment link in your confirmation email or CLICK HERE to go to the payment page. Either when you call or I can call you. 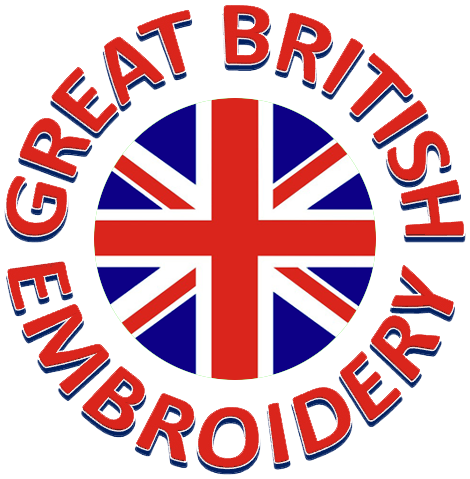 Made payable to ABS Embroidery and sent to my postal address with your ORDER NUMBER or INVOICE NUMBER written on the back. Please note that although I accept cheques, I prefer not to if at all possible. It can take some time to clear a cheque and goods will only be released when funds are cleared. Personal visitors only. No notes bigger than £20 will be accepted under ANY circumstances. Please DO NOT send cash in the post. I cannot be responsible for its safe arrival.